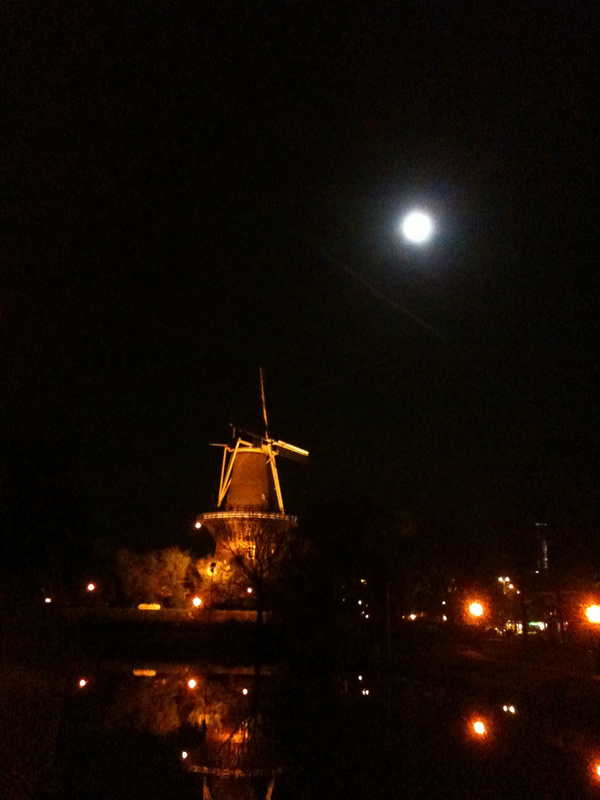 I've just returned from Leiden (its in the Netherlands - which incidentally, is not the same as Holland). I was attending a conference called ".astronomy" (or "dotastronomy" because people and web browsers often don't notice the little full stop), which was hosted by the very generous and capable staff of the Lorentz Centre. The venue was excellent, providing us with our own offices for the week, meeting rooms, very fast (and easy of access) wireless internet, and cheeky but friendly staff. The philosophy of .astronomy is using new media (which mostly, but not exclusively, means the internet) to 'do' astronomy. That's not just astronomy research but also astronomy outreach/education. The first conference was the genius idea of Rob Simpson (of orbiting frog fame) and has been further developed by a team of cheeky helpers. Three projects really stood out for me. The first is called Chromoscope and was officially launched while we were in Leiden. It is an adaptation of the multiwavelength Universe that was first shown at the Royal Society exhibition this summer. Then you had to control it on a big TV screen, with a Nintendo wii remote and it was a bit awkward. Now you can view it in a web browser (and may even be available on the iPhone as an app soon). Move the wavelength selector (we call it the Chromoroller or Lamdatron) up and down and it blends a view of the night sky between different types light (visible, x-ray etc.). It is really good fun, and can be downloaded if you wanted to show it off, where you don't have an internet connection. The next project is called APLpy (pronounced "apple pie") and is for the scientists among you who need to display images of the night sky and overlay co-ordinate grids, or contours (from another image file) or project the image into a particular co-ordinate system (a bit like changing from a view of the globe which is flat or in Mercator projection). It is a bit of beast to install but thats probably just because I am useless with things like that! It uses python and can do some things with a few commands which are so simple that it feels like cheating. I was very surprised by the progress which has been made with Microsoft's World Wide Telescope recently. The last time I saw it, it was basically powerpoint merged with basic planetarium software, but now it has taken off in a completely new direction. It has an API which you can develop for, by inserting your own data sets. So, if you have a some astronomical data files you can easily view them in this. You can also upload individual data (in FITS format) and play around with previewing them. The load time is extremely fast (much faster than my experiences of Google Earth). There is a version which you can run in web browser that is almost as well endowed as the download version (which is only available on Windows). You can even create a tour of the night sky with a voice over or music, which could be used in a planetarium or public talk. The outreach day had so many great talks that I will save that for another blog post!